Being an entrepreneur is different from being a leader.Leader can be identified by his managing skills, efficiency and experience.But an Entrepreneur must be on one step above these qualities.He invests all his own resources in the business.He is the only risk bearer in the business.He should possess certain leadership styles to maintain as well as to develop the status of his business. What are they?.Well according to the book “Beyond Entrepreneurship” by J.C.Collins,an entrepreneur must develop four leadership styles in order to bring his business a booming success in the future. The foremost important factor of successful business is authenticity i.e being trustworthy.All the speeches,decisions and actions of an entrepreneur must be authentic for his employees and he must welcome authenticity from his employees as well. Trust is a predominant factor for changing people’s mind and making them persuade towards the common goal of the business. It makes employees feel that it’s their business and they are not working only for money. There should be a similar mindset among everyone that is to reach the goal and increase the status of their organisation in the society. Most effective action of earning trust from your employees is your speech.An entrepreneur’s speech must be so attractive that even a common man who is not an employee of his company should support for his victory. The speech should possess the capacity to change anyone’s mind. Your talk matters a lot to your employees. Some successful entrepreneurs have even shedded tears during their speech. Likewise your speech should psychologically hit listener’s heart and deliver the content to their minds. As a corporate leader your role is much similar to the role of a parent or a teacher. You should influence their mind and drive them towards the common goal. You should be one step above of being a boss. Like,being a role model of your own employees. There is a popular myth about entrepreneurship, whoever starts a business on his own is considered as an entrepreneur. It is not true. The growth and success of the business determines whether he is an entrepreneur or not. For being a successful entrepreneur,obtaining the qualification called simplicity is very important.I mean being simple is more than enough to be qualified as an entrepreneur. The skill of making decisions. Obviously the decision making skill describes how efficient an entrepreneur is. Sometimes heart gives you the better decision first which most of us reject because it is not logical. As a well educated humans we usually believe stats blindly. This situation is like a war between heart and mind. An efficient entrepreneur knows which one to choose. Basically most of successful entrepreneurs remember what their heart told them first, later they assemble their educated scholars (strategists),keenly observe the stats they provide and listen to their advises. Now it’s their time turn to decide what to do. First they talk to their conscience. They spend plenty of time to realize what and how will the output. They forecast what will be the consequences. Then they make a right decision. An efficient entrepreneur will never ignore anyone’s advice. As a leader you must respect all of your employees and consider their suggestions. You must allocate your time even to listen to your employee’s opinions. Be decisive but not bullheaded. Your decision should even adapt to changing circumstances and new technology or else your business and its properties will become obsolete. There are loads of startup companies emerging out of nowhere in recent days. So keeping up with the changing trend is very important and an entrepreneur’s decisions must be accordingly. Making a bad decision is better than no decision. There is a proverb called “stitch in time save nine”. It means that stitching a torn cloth when the tear is small is better than throwing it away. Likewise an efficient entrepreneur must immediately respond to a problem at its starting stage rather making no decision. 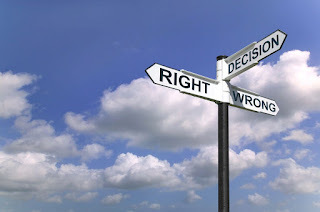 Making no decision is very dangerous because the problem is left in unsolved and so it might grow bigger and bigger and it might become huge issue which can never be solved. So future entrepreneurs think and act wise. Effective leaders focus on their efforts, and set their priorities to minimum. Priorities must be maximum three anything more than that is not considered as priorities and it makes you admit that you have no priorities. Always first things should be done first. Manage your time not your work. Works are infinite but time is finite. So utilize your time effectively. Use your time to most important works rather than second priority. No one can finish every work they have. Even if you go as per planned schedule at night when you go to bed there will be some work left undone. Its impossible for human beings to get every work done. Focus on the top most priority, finish it, then move on to next one. A CEO of a top clothing company was driving his company insane. He wanted every work to be done even if he don’t take any personal care on it. At one period all his dictatorial authorities failed, all his employees turned against him and he got completely confused what to choose. There are two reasons for this failure one is he didn’t respect his employees. And the other one is he didn’t prioritize his work according to his available time. So prioritizing the work,allotting time for it and focusing on its completion is very important for an entrepreneur. We may notice many employees who have retired from some company used to say “we” when they describe their work experience. This is because of the personal touch in between the employees and their employers. A successful entrepreneur always has a personal touch on his employees, customers, suppliers, investors etc. Obviously this increases the lifetime of the business as its base is very strong. Employees will not have the traditional mindset of “money in exchange of work”. Trust is a strong relationship which emphasizes great success of business. Even customer will behave beyond the mindset of “I pay for your product”. Many sports personalities have a close touch with a particular brand as they feel the management of the business is close to them and the quality of product is comfortable for them. It becomes a part of their life. It becomes their favorite brand. They even start preferring the brand to others and promote without getting paid. A powerful way to improve personal touch with employees, customers and others is speech. The usage of informal communication helps to build a strong relationship between the company and others. Gud writing abt entrepreneurship quality “we” r expecting more. all the best guys for ur better future?